A state bill capping the sales tax on the purchase of boats and airplanes at $18,000 made a spirited run through several House committees. In the end, the Senate would have none of it, letting its version of the bill languish until lawmakers adjourned. House Bill 469, dubbed the Aviation and Maritime Full Employment Act, received a favorable hearing in the House Finance and Tax Council, and House Economic Development and Community Affairs Policy Council, but the idea of giving yacht owners a sales tax break lost traction in a session strained by acrimonious debate over budget deficits, spending cuts and increasing other taxes. 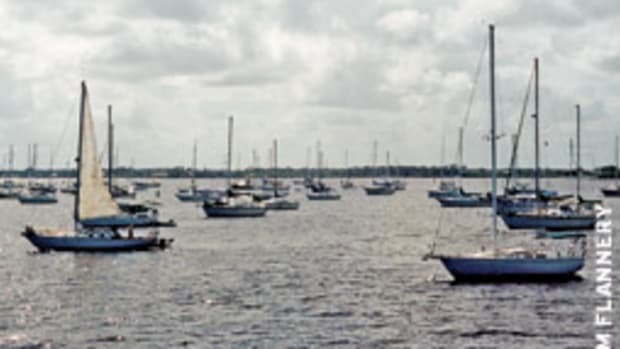 Had the bill passed, anyone buying a boat costing $300,000 or more in Florida would have paid no more than $18,000 in sales tax at the statewide rate of 6 percent. The break would have yielded a $42,000 tax savings on the purchase of a $1 million boat and a $1,182,000 savings on a $20 million yacht. For Florida, yes, says the bill’s supporters. The tax cap would capture new taxes from those who otherwise never would have bought their yacht in Florida — or kept it there. “The state is not collecting sales tax on these boats because the transactions are not happening here — because the tax is onerous,” says Jeff Erdmann, owner and president of Bollman Yachts in Fort Lauderdale. Cap the tax and more people will buy them from Florida dealers or brokers, keep them at Florida marinas, and get work done on them at Florida boatyards, all of which creates jobs, he says. That’s the theory. Florida’s marine industry is deep in the doldrums, says Erdmann, legislative chair for the Florida Yacht Brokers Association. 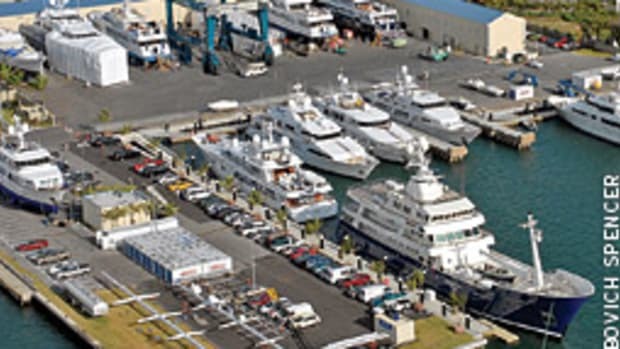 Larger than the citrus and cruise-ship industries combined, the state’s $18.4 billion marine industry has suffered a 52 percent decline in yacht sales in 2008-09 compared to 2004-05, the last time the U.S. economy and yacht sales were hitting on all cylinders. The tax cap actually would generate more tax revenue for Florida, Erdmann says. It also would generate jobs. That’s why Rep. Tom Grady, R-Naples, H469’s sponsor, dubbed the bill the Aviation and Maritime Full Employment Act. It was supposed to be an economic stimulus measure. One lawmaker, the lone holdout in the 13-1 vote for the bill April 21 in the Florida House’s powerful Finance and Tax Council, wrote it off as just another trip to the trough for the rich. “It’s ridiculous,’’ said Rep. Scott Randolph, D-Orlando, in press reports of a council meeting.”We’re talking about increasing the cost of a driver’s license and other fees, and now we’re going to hand out tax breaks to those who can afford yachts and planes?” Randolph says Floridians would be outraged. Yet the measure skated through the council with bipartisan support. Ironically, the House measure was part of an effort to repeal some of the state’s 246 sales tax exemptions to help offset a $6 billion budget shortfall. None of the repeals survived, but lawmakers did impose a $1-a-pack tax on cigarettes and $1-an-ounce on smokeless tobacco to raise $900 million; embraced $4 billion in federal stimulus money; authorized school tax increases; and cut pay to state workers. 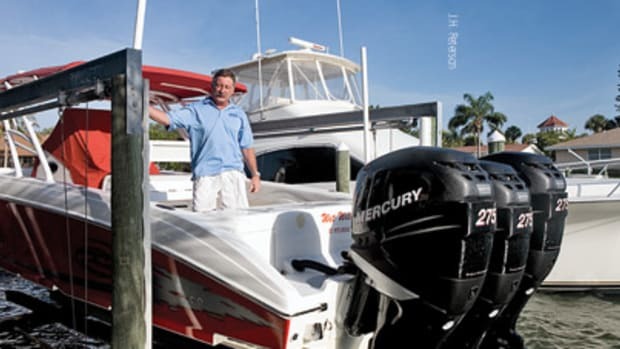 Brokers have complained for years that Florida’s 6 percent sales tax is a red flag that sends big-boat buyers offshore or to low-tax states to buy a boat. Those that do buy in Florida take it outside the state within 90 days as the law requires to avoid the sales tax — or they register it in the Cayman Islands or another tax haven. A House staff analysis estimated that a higher tax cap of $25,000 would cost Florida about $8 million a year in sales tax on yachts that are bought and stored in Florida. It is unclear how many new sales a cap would generate. “While it is expected that the reduced tax will lead to increased taxable purchases of aircraft and boats in Florida, the effect cannot be quantified,” the analysis concluded. Erdmann says he is confident tax collections on more sales, repair and storage of big yachts would offset the losses by a wide margin. 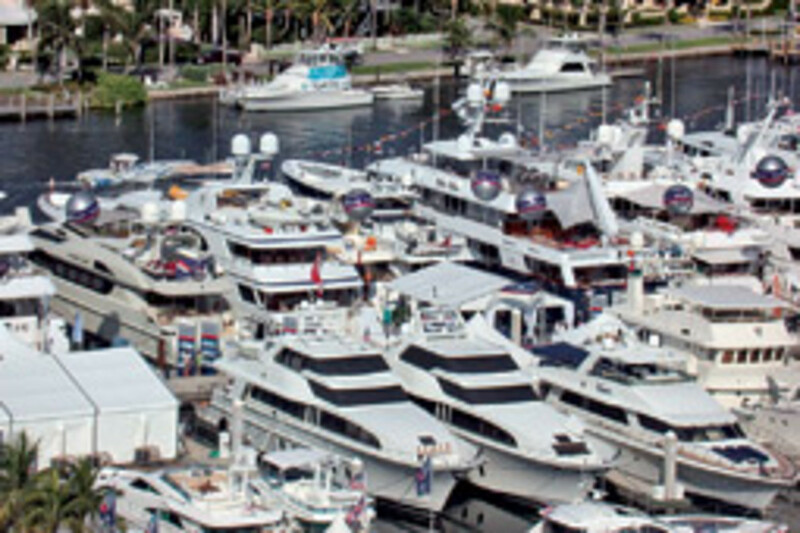 There are ways to bring yachts to Florida for extended stays without paying the sales and use tax, says Bruce Schattenburg, president of The Sacks Group and the FYBA. A yacht for sale can be brought into the state and put under the care, custody and control of a Florida yacht broker, but then the owner can’t use it while it is on the market. “We want the owner to use the boat while he’s here and spend money here,” Schattenburg says. 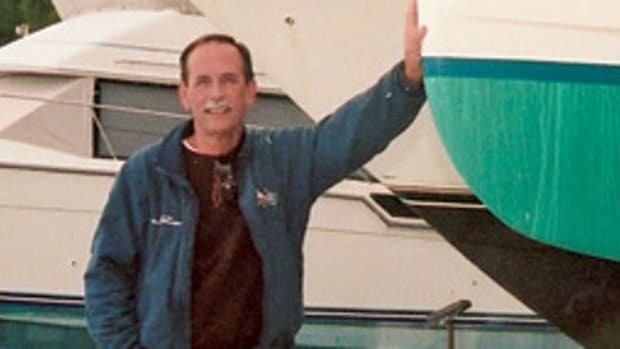 Very few big yachts charter out of Florida because of the use tax, he says, though the law does allow an owner who has not paid sales tax to charter the yacht out bareboat with its crew available for hire by the charterer. Schattenburg believes many owners would pay an $18,000 use tax just so they can base their yacht in Florida and charter it out crewed. 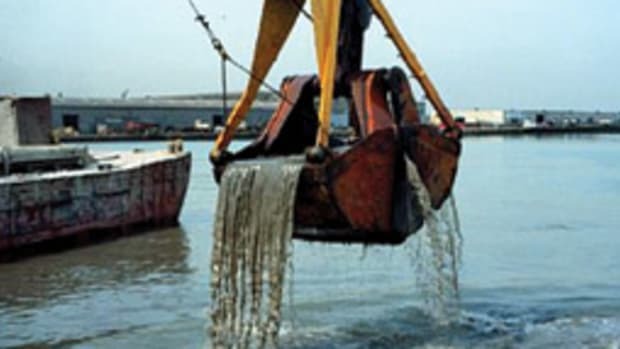 “There are lot of people who’d gladly go to their local tax offices and plunk down $18,000 to become Florida tax-paid so they can use the state’s waters for charter and for sale,” Schattenburg says.